If you’re in need of a venue that offers great service and facilities at reasonable prices, Lakeside is for you! 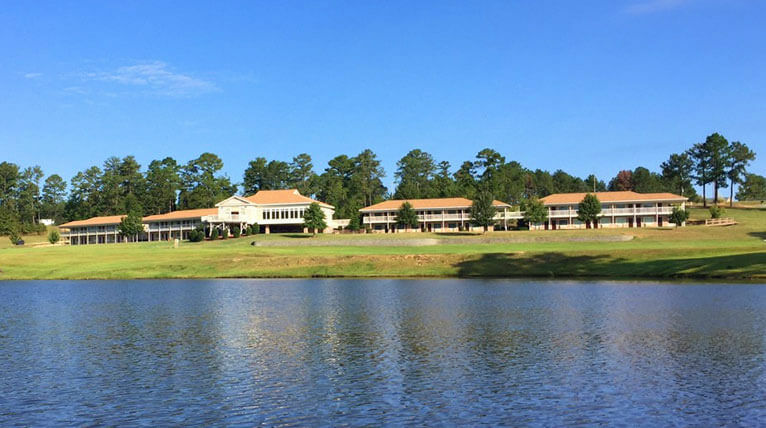 Located among the wooded and rolling hills of Alabama, Lakeside is proudly one of the area’s modern Lodges. Secluded enough for some much needed peace and quiet, you can enjoy white water rafting, zip lining, and other area attractions. Nicely tucked away in the wilderness of Seale, Alabama sits this forty- eight room refuge. With modern technologies and sophistication, Lakeside is fully furnished and equipped to offer unique features that stand alone among the area’s leading conference facilities. The property shines as an outstanding retreat center and delivers everything necessary to accommodate your needs. This gathering place is also known for its captivating view of Mott Lake. In turn making it an elegant wedding location, youth retreat, or business venue. Lakeside gives you what you need at a reasonable price.